God has called His shepherds to pastor the flock, not worship them. 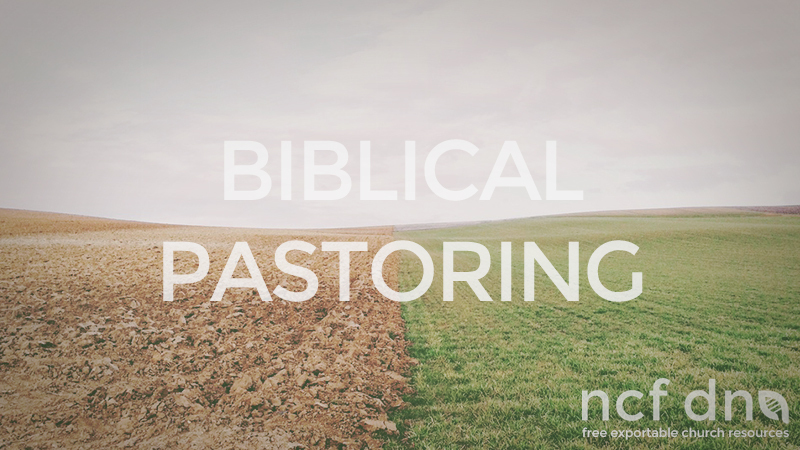 What does biblical pastoring look like? How do we pastor and lead the people God has entrusted us with? How do we do that effectively? In John 10 and Ezekiel 34, we find excellent pointers as to what biblical pastoring is like. The following notes are based on these two valuable passages found in Scripture. Sheep are dependent on their pastors to survive. They have developed an unhealthy attachment to them. Pastors believe they are the answer to every sheep’s problem (opposed to Jesus being the answer and pointing them to Him). Sheep insisting that only the pastor can pray for them rather than others. Pastors feeling guilty about not getting to all the needs of every single person in the congregation. Pastors’ families never see them because they are always out tending to the needs of the sheep. Every sheep has the pastor on speed dial because he needs to help with every single problem and they are incapable of solving any of these problems without him. The pastor needs to dedicate houses, cars and businesses. “If the pastor doesn’t bless it, it isn’t blessed”. The pastor counsels in a way that deals with symptoms while neglecting to empower the sheep to walk free. A pastor that props up the weak temporarily with the goal of getting them to stand on their own two feet. A pastor that shows his sheep how to feed themselves. A pastor that teaches his sheep how to rely on God. A pastor that raises leaders capable of leading others. A pastor that instructs his sheep how to seek God for answers and to come to their own conclusions, rather than spoon-feeding them. Jesus is at the centre of everything. The sheep grow in their dependency upon Jesus and not the pastor. The pastor expresses that he cares in a way that empowers people rather than just being sympathetic. What does godly pastoring look like? However, in this lamenting, we see that Jobs leadership was marked by God’s presence. Job was a pastor who was able to relate up and down, meaning he was not exclusive towards a certain age or people group. He was able to connect with people from all walks of life. Godly pastoring hears the cries for help which may come in different shapes in forms, for example, such as divorce or job loss. A godly pastor understands the enormity of social problems and doesn’t dismiss them as irrelevant or unimportant. Job made time for the people who looked to him for leadership. A godly pastor is not too busy for the people he is shepherding, he makes time to listen to them and what is going in their lives. Sometimes, a smile can go a long way. A godly pastor smiles on his sheep. Read Ezekiel 34 and find 5 revelations about what godly pastoring looks like. -staff meeting notes by Grant Crawford, compiled by Sabby Mahabeer.